In July last year I went to Åndalsnes where I hiked the famous Romsdalseggen. The Via Ferrata version opened about a month after my visit and I immediately decided to return there. So this July I returned together with 3 friends to do the Via Ferrata Romsdalsstigen. 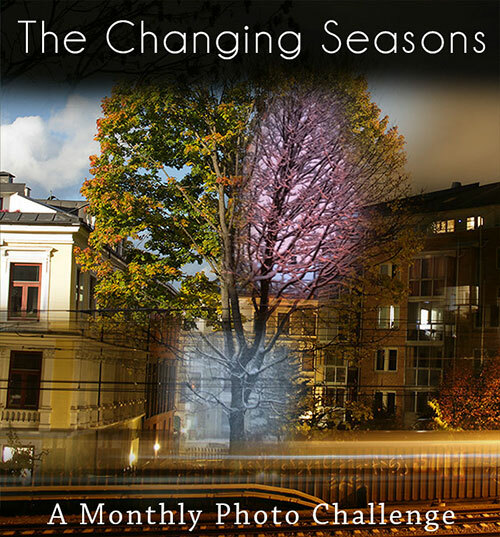 This entry was posted in Landscape, Norway, Sports & Activities and tagged #TheChangingSeasons, climbing, landscape photography, mountain photography, mountains, Norge, Norway, Norwegian nature, Romsdalseggen, Romsdalsstigen, The Changing Seasons, via ferrata, Via ferrata Åndalsnes. Bookmark the permalink. Beautiful, beautiful country and photos, Max. I love it when mountains and water come together for spectacular views. Thanks Bikerchick. I love it too. Cheers to a good August! Excellent. Which are the best months to do the via Ferrata? I guess it must be anytime between May and September, depending on the weather. Thanks – the idea of something safely hooked on and long and arduous appeals to me – and that scenery! Wow! The scenery is simply spectacular, Max. Hiking there would be a dream come true for me and your post whetted my appetite! How long did it take you to hike this trail? You should definitely go if you get the chance Lydia. Since it was our first time we went with a guide and the hike took 5-6 hours, but if I had done it alone it would have been much quicker. I climbed quickly and, when you’re near the top, there’s a stretch where you don’t have to be connected – so I ran that part. On the descent you follow a trail through the mountain and forest, so I ran that part too. When I got to image 482, my knees felt a little weak! How long is this route? … and how long did it take? I’m not afraid of heights but …. yowzer! The ascent, from bottom to top, is only about 500 height meters, so it’s not that high at all. If you check out the map at Tindesenteret.no, you can see the route: it’s a bit climbing here and there, plus some parts that are basically just regular hiking, plus one part where you cross a gorge on a wire. Before this trip I had absolutely no experience with climbing and heights whatsoever, except from a visit to an indoor climbing wall, so prior to our trip I thought to myself: “I hope I don’t get scared when I’m up there”. I didn’t get scared at all and the parts that I enjoyed most was the extreme ones, so I learned about myself that I’m probably more extreme than I thought I was. Now I want to try some really extreme via ferrata. Some people told me that this one is the most extreme in Norway, but I’ve heard that there are some really extreme ones in the Alps so I’ll start looking into that. It didn’t occur to me that there would be varied terrain, but now that you mention it, it does make sense. I think I would have to go pretty far to find one here. It’s worth to travel a bit for such an experience (we drove 6 hours from Oslo).